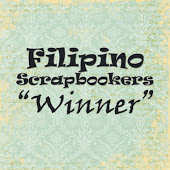 Pinoy Scrapper, My Journey: Elmer's Birthday 2012 : Me? Elmer's Birthday 2012 : Me? I think I am favored by the heavens despite being bed bound recently! I got to hop blog of Fall in to Fall by Lets Get Sketchy, and for the week's challenge - I prepared this layout based on their sketch. I used a black and red plaid ribbon that qualified me to enter it at Kaboodle Doodles Challenge! Thus, being of a less healthy mind, I could not think much of which papers to combines, lacking imagination, I just followed the sketch... hehehehe. But to add spice to the red and black scheme of the sketch, I used a wooden stamp with writings - and for it to show, I used gesso on the rubber stamp, smearing it with my fingers for the black paper. Then the conventional black ink on red. Filstar All About Scrapbooking has no black paper - so I used one of the pages from their black kraft album. 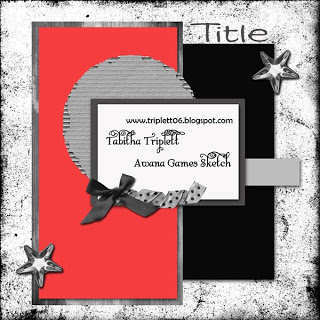 The stars, ribbon, and that laser cut are from All About Scrapbooking. What a great layout, Gilberto!! Thanks for playing along with us at Kaboodle Doodles this week. Excellent job Gilberto! That's what I love about sketches as well, they take a lot of the guess work out of the process. Love your patterned papers! Thanks so much for joining us at Let's Get Sketchy! Hope you feel better soon! lovely take on the sketch, thanks for playing along with us at lgs! Great take on the sketch. I really like the die cut, and your stamping is fabulous! Thank you for playing along with us at LGS! Great take on the sketch and how you utilized gesso for your stamp. TFS! I tried doing the same on acryclic stamp but it won't produce the result and texture I wanted. I'll try again. Thanks for the inspiration! 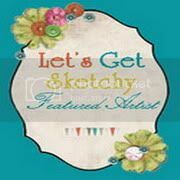 Thanks for joining us at Kaboodle Doodles’ “Plaid” Challenge & at Let's Get Sketchy's Fall BlogHop! Great take on the sketch! Love the gesso and the script stamping. Thanks so much for playing along with us this week at Let's Get Sketchy! Fantastic page, Gilberto! Love the stamping and ribbon! Thanks for joining us at LGS! That bow is adorable. Thanks for linking up with LGS. 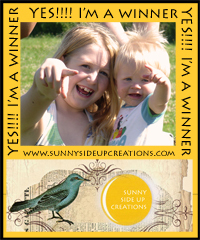 Your stamping is awesome! Great take on the sketch. Thanks for joining in at LGS! great layout gilbert! thanks for joining us at kaboodle doodles! I think you did great with the Let's Get Sketchy sketch. Lovely colors and I love the script stampning. Thank you very much for joining in at LGS. Great stamping! The gesso really makes a statement, thank you so much for sharing with us at LGS! What a creative use of plain paper...love the gesso stamping! Thanks for playing along with us at LGS! 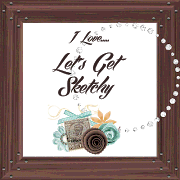 Love that doily and your ribbon accent! Great take on the sketch! Thanks for joining in our Let's Get Sketchy Challenge!! !